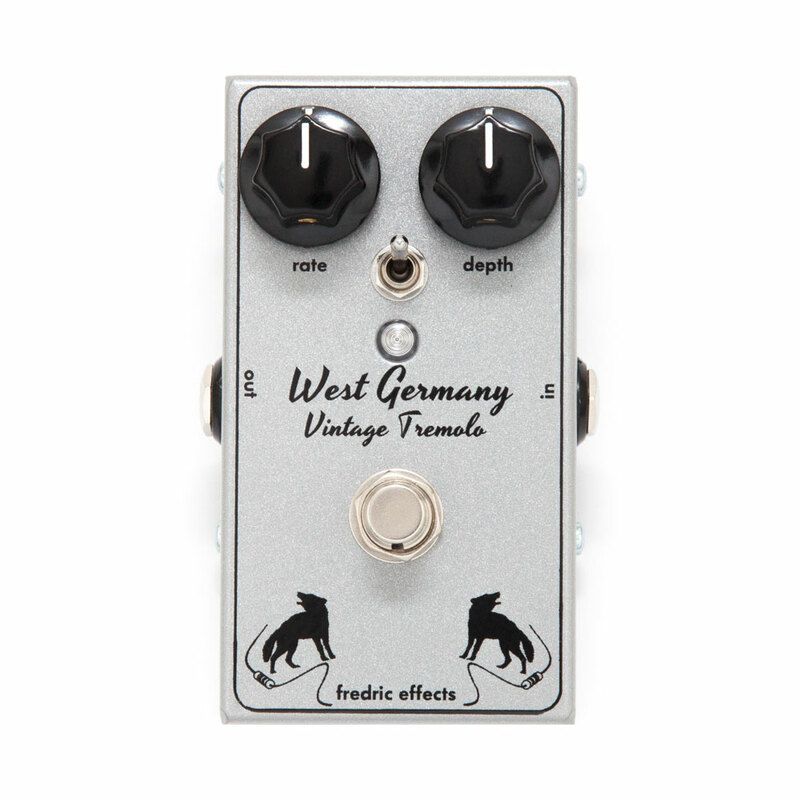 The Fredric Effects West Germany Tremolo Pedal is an improved version of the classic 70s Schaller tremolo pedal in a modern pedalboard friendly box. Nice and simple, featuring a rate control knob, an improved and more useful depth control knob, the LED flashing in time with the tremolo effect and the rate switch doubles the tremolo speed when engaged. This circuit is famed for its warmth, with a smooth waveform similar to that found on vintage Fender amps.